As many of you have probably noticed, we love makeup here at MamaBreak! We are very excited to discover a new eco-friendly cosmetic company called Eco Bella. 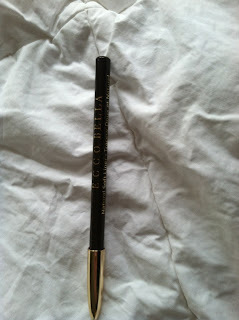 Eco Bellaprovides organic AND vegan cosmetics and other beauty products and we got to try out 2! We tried the Bourbon Vanilla. The secret is to use just a little and let it adjust to your body's own chemistry for just a couple of minutes! 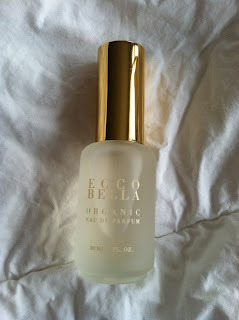 The bottle is nice and clear, and looks very chic! We also tried the eyeliner in Seal. I thought it would be almost a gray in color, but it actually was more of a deep brown. 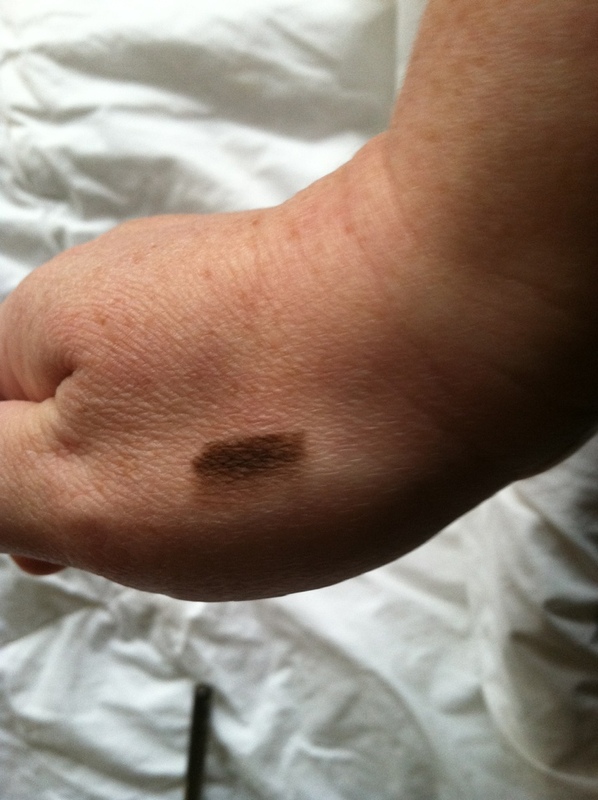 In this hand swatch, you can see more of the true color. 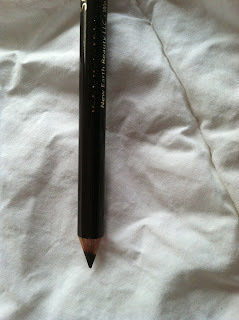 The eyeliner performed very well! It went on smooth and stayed on until I removed it at night! We loved both products that we tried, and we are excited to be sharing them with you in a giveaway . . . coming soon! 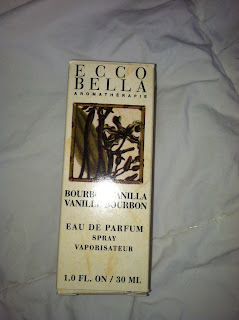 MamaBreak received Eco Bella products to review here on the site! We did not receive any other sort of compensation. As always, our opinions and experiences are our own.